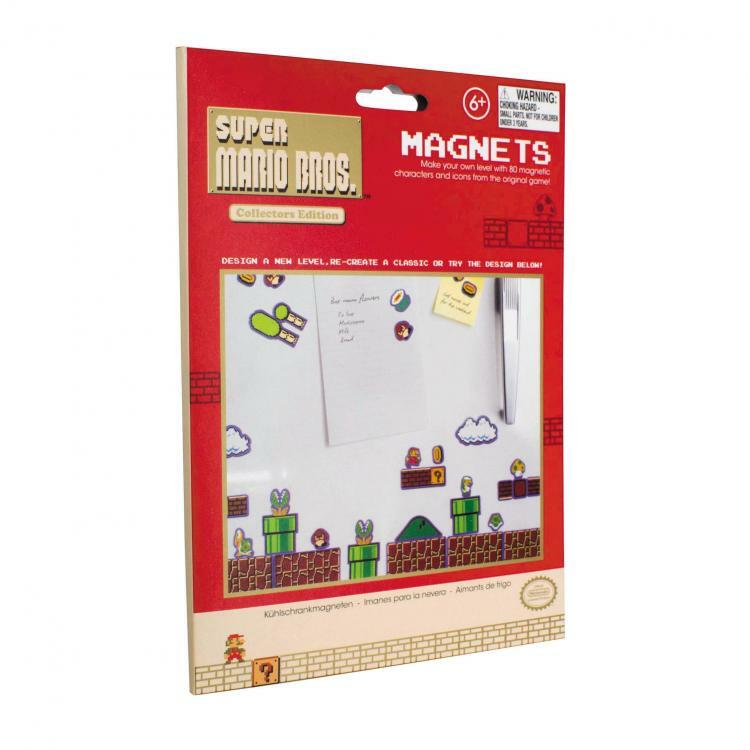 Quite similar to the Mario refrigerator magnets that we've featured in the past that were much larger, these Mario fridge magnets are a bit smaller and are made to replicate the levels and characters from the original Super Mario Bros on the NES. 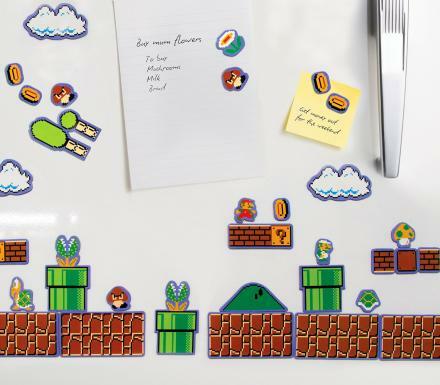 Sold by Nintendo, so you know they're legit, the Mario fridge magnets feature 80 different magnetic pieces from the game that allow you to create your very own custom levels right on your fridge. 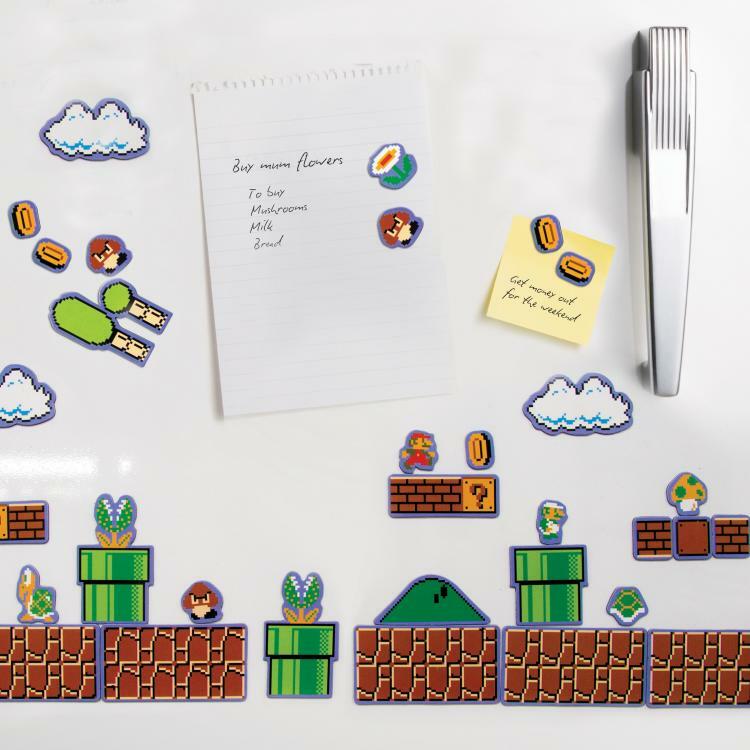 The Mario level fridge magnets include pieces from the first level of Super Mario Bros, including the brick ground, the brick blocks that you can smash, coins, clouds, trees, question mark boxes, stars, warp pipes, Goombas, Piranha plants, Koopa Troopas, background hills, bushes, mushrooms, as well as Mario and Luigi. 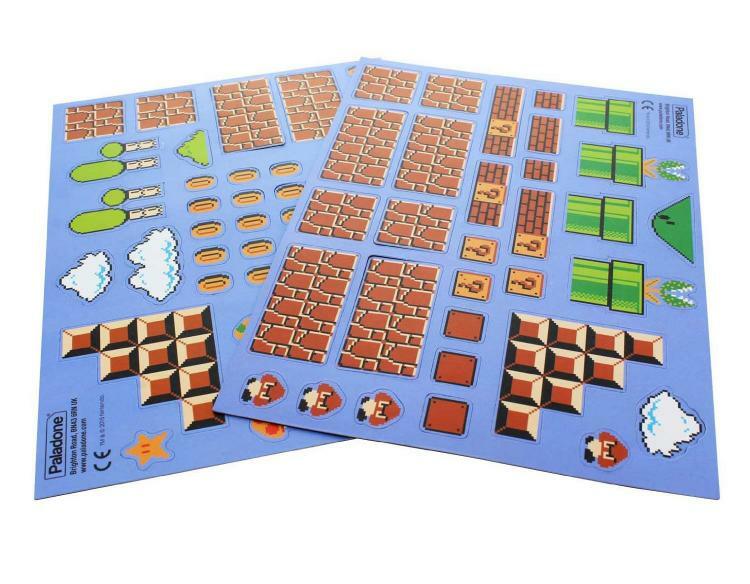 Come down to a bundle of nostalgia each morning and create a different Mario level with your kids everyday and show them how amazing video games used to be and what they used to be like. 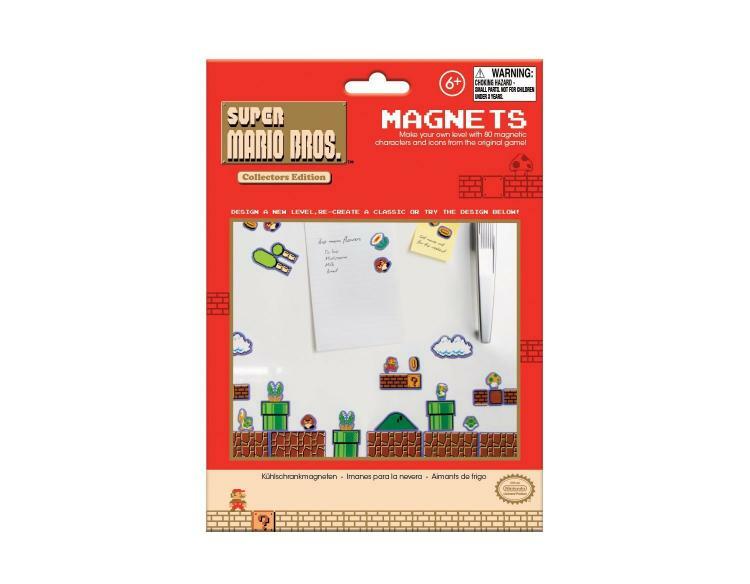 The Mario fridge magnets come all together on two sheets that you will need to pop out and separate, are not suitable for children under 3 years old, and are a perfect way to add a bit of geeky flair to your otherwise boring white refrigerator. 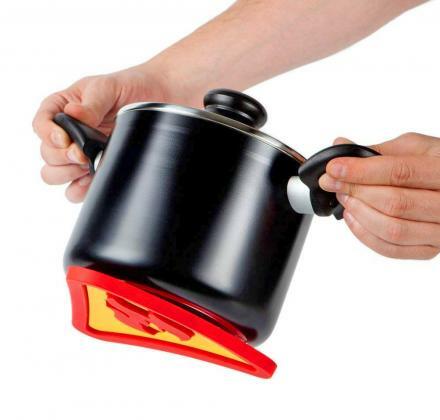 Check out the Mario fridge magnets in action via the video below. 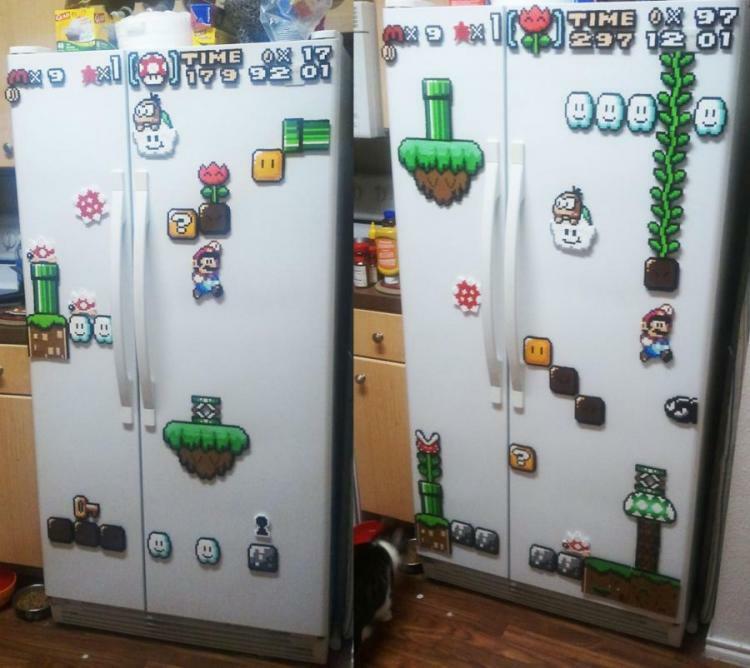 Check out the SNES styled Mario fridge magnets here.